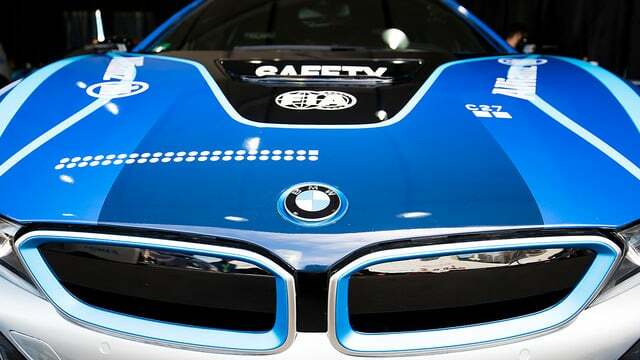 This is It Only Takes E Minute, in which Formula E signs a partnership to keep the coolest safety car in motorsport. There are some modifications to the road cars, particularly wireless charging pads. As safety car driver Bruno Correia says: "This system, it's very easy, we just park the car over the pads and it immediately starts to charge. We have to intervene as quick as possible, imagine me coming out of the car to take the cables off, plug it in." The agreement is for a multi-year partnership, with Formula E CEO Alejandro Agag saying: "It’s a legendary brand in the world of sports and in the car industry and soon we will also have them in the pit lane trying to win."